Scientists have issued a warning about a coral bleaching event that could kill thousands of reefs by the end of the year. Scientists have confirmed that the world is currently in the middle of the third coral bleaching event to ever be recorded. The U.S. National Oceanic and Atmospheric Administration has found global evidence to support the occurrence of major changes to coral reefs caused by rising ocean temperatures. Coral turns white after expelling the algae that provide nutrients to the reefs. 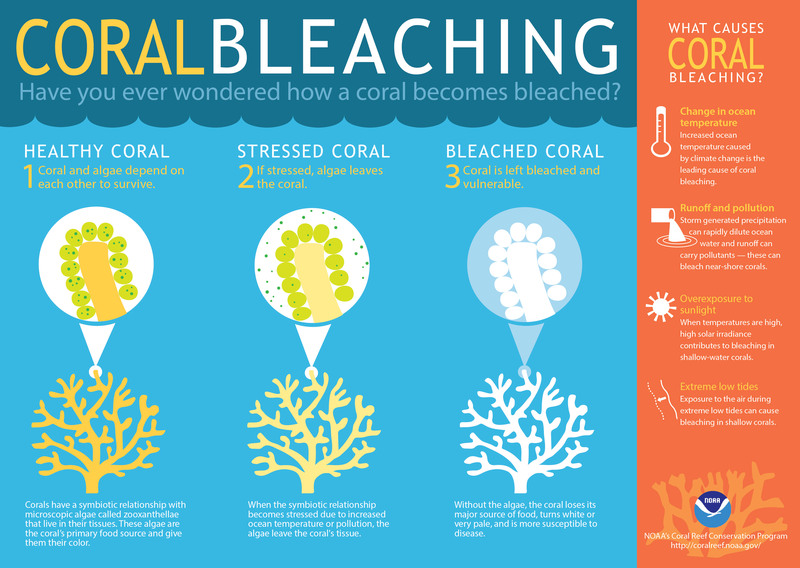 Stress on coral reefs causes coral bleaching. The bleaching is characterized by a rejection of the algae living on the coral’s form. Without the algae, the white skeleton is all that remains. The presence of symbiotic algae handles the coral’s colorful appearance. The algae also provide the coral with essential nutrients that keep them alive. The current instance of bleaching has been classified as a bleaching event because it spans more than 100 kilometers (63 miles) in the Pacific, Atlantic and Indian ocean basins. According to the NOAA, the XL Catlin Seaview Survey, Reef Check and the University of Queensland, the event is currently happening now. Rising ocean temperatures are the main cause of coral bleaching. According to NOAA, each bleaching event has been caused by an increase in ocean temperatures. Each event has occurred during unusually warm temperatures common during El Niño years. The event is extremely dangerous because it could result in the death of more than 12,000 square kilometers (about 4,600 square miles) of coral reefs by the end of the year. 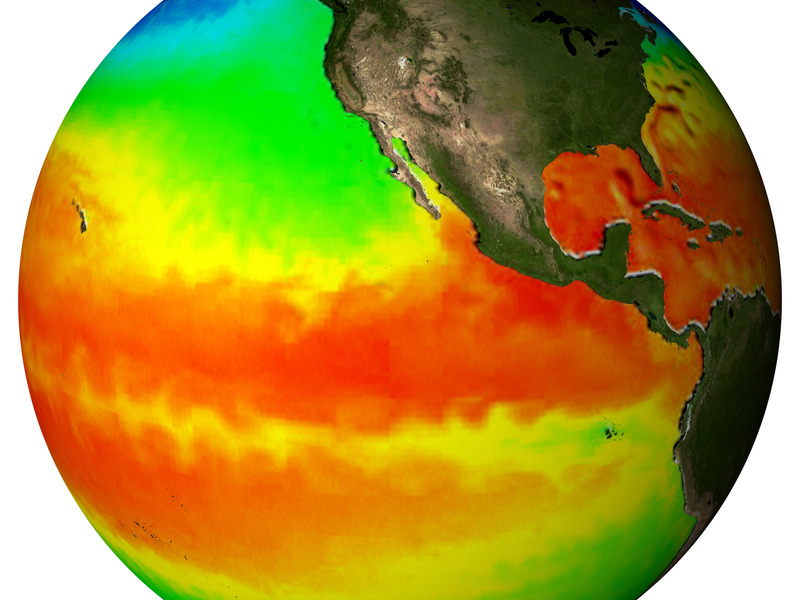 El Niño temperatures will continue until 2016, which means that bleaching instances are likely to increase. While most people have ignored the threats to coral reefs, the XL Catlin Seaview Survey has been mapping its progress. The survey data is collected by a custom-made camera that travels on an underwater scooter and takes a 360-degree image of the ocean. Scientists had tested coral in 26 different countries before and after the event began. According to Richard Vevers, the survey’s executive director, the goal of the survey is to track a global baseline of coral reefs that will illustrate how they have changed over time. 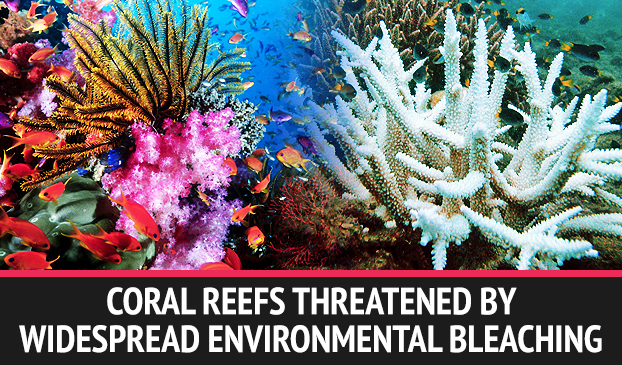 More than 12,000 square kilometers of coral reefs could be destroyed if the event goes unchecked. While some reefs recover after ocean temperatures cool, most will die out. The team observed a bleached reef off American Samoa and discovered that about 95 percent of the coral had died. The survey will post its data to Google Street View to raise awareness and allow internet users to understand the effects of coral bleaching. Vevers said coral bleaching hasn’t yet grabbed the world’s attention. “This is the equivalent of rainforest turning white and no one noticing,” Vevers said. The survey is meant to direct attention to the severity of the bleaching event to make positive change, Vevers said at the December at the U.N. Climate Change Conference (COP21) in Paris. Are America’s Children At Risk For Lead Poisoning?